One tier Fountain with shere finial. 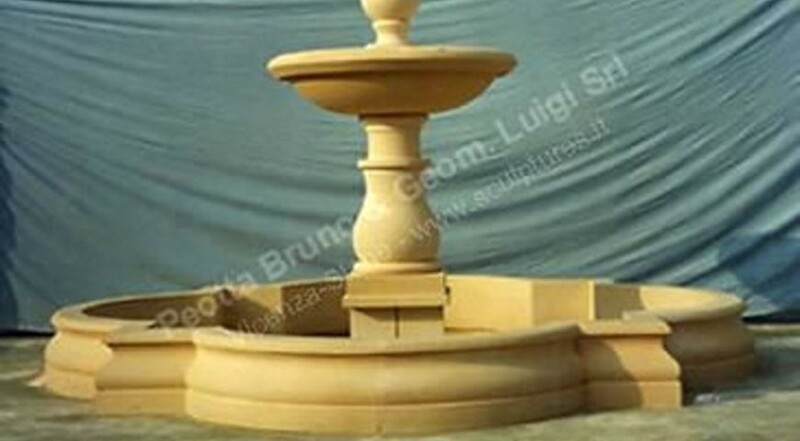 Simple Fountain but very elegant with a quadrifoglio coping around. Style from venetian Villa, in front of the entry way a lot of Parks have this type of Fountain.